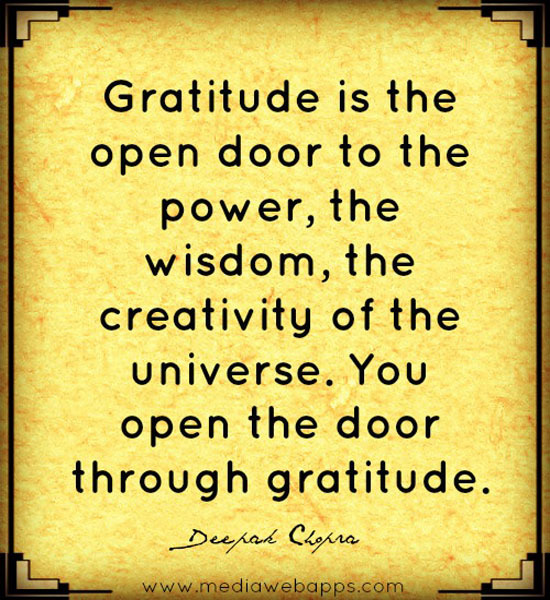 Open your doors and allow gratitude to flow in and out. Gratitude is the mother of Joy! Let us all be grateful for our beautiful, crazy, unpredictable, exciting lives by expressing our joy and light wherever we happen to be. Hoping you all had a blessed holiday. Let us keep up our practice as the season into the dark is quickening. In order to motivate you not to skip class, each time you come to practice, from now until January 4th, remember to put your name in the box to win a Private Session with me. The more times you come to class, the more chances you have to win! Synergy Session – January 15th at 645pm – Restorative Yoga, Reiki & Acupuncture with Essential Oils – Sign ups are open.